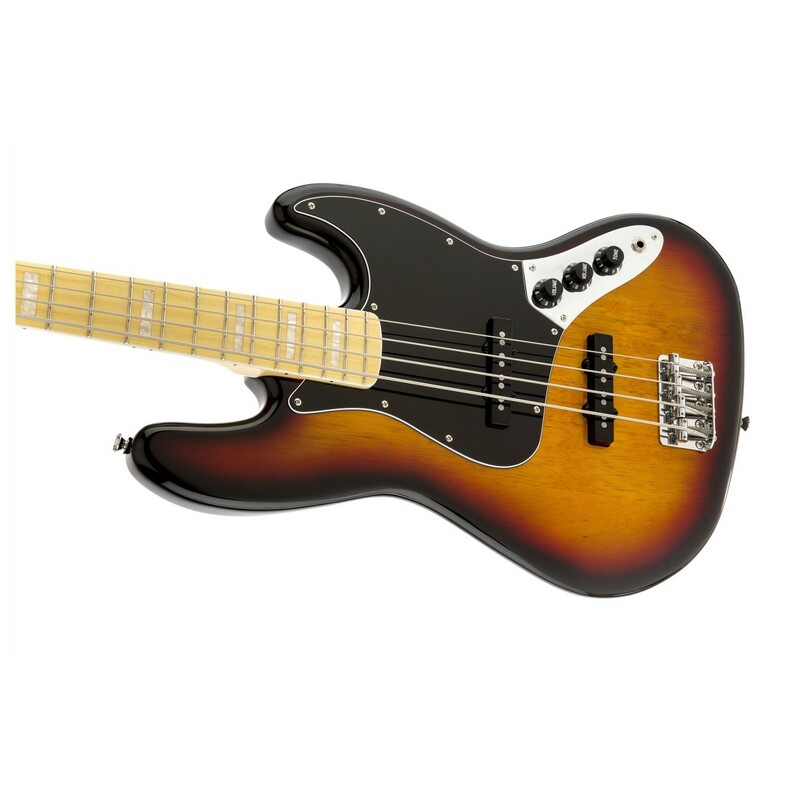 The Squier Vintage Modified '77 Jazz Bass provides players with a traditional designed and modern appointments, delivering the perfect blend of classic style and contemporary performance. Its lightweight agathis body is coupled with a maple neck and fingerboard, delivering beautifully balanced tones with bright characteristics and plenty of warmth. A set of Fender-designed single-coil Jazz Bass pickups deliver authentic Fender growl, made to embody the very essence of Fender for a truly stunning tonality. The addition of a 4-saddle bridge, synthetic bone nut, and open gear tuners add to the Vintage Modified Jazz Bass' classic aesthetics, while improvising string and tuning stability to enhanced its sustain and deliver a truly stunning performance. 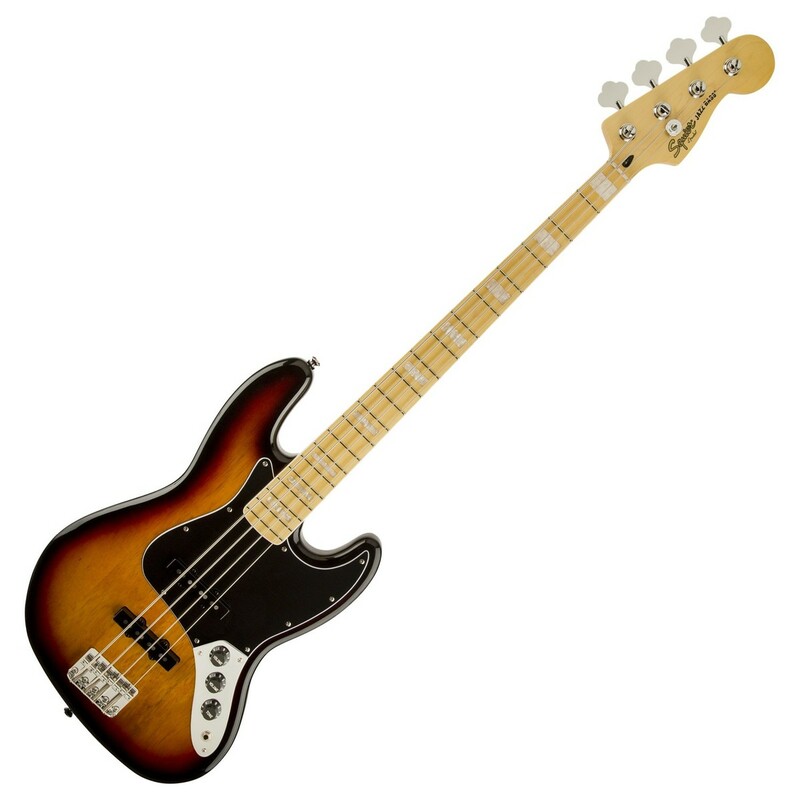 Coupled with the Vintage Modified Squier’s comfortable basswood body is a smooth maple neck, enhancing this bass’ natural brightness while tightening up its tone to deliver plenty of cut. A maple fingerboard is also added, offering extra clarity to the overall tone. Both maple neck and fingerboard deliver a beautifully sparkling high-end, with a thick low-end and snappy midrange attack to suit a variety of musical styles. 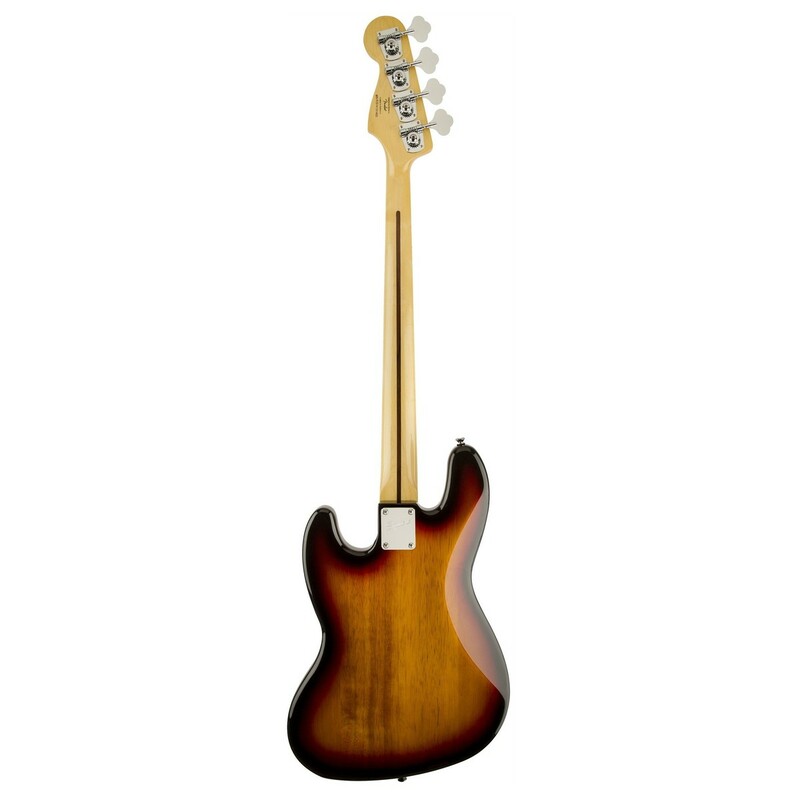 The neck also features Fender’s classic ''C'' shaped profile, providing the fretting hand with excellent comfort across the entire fingerboard. 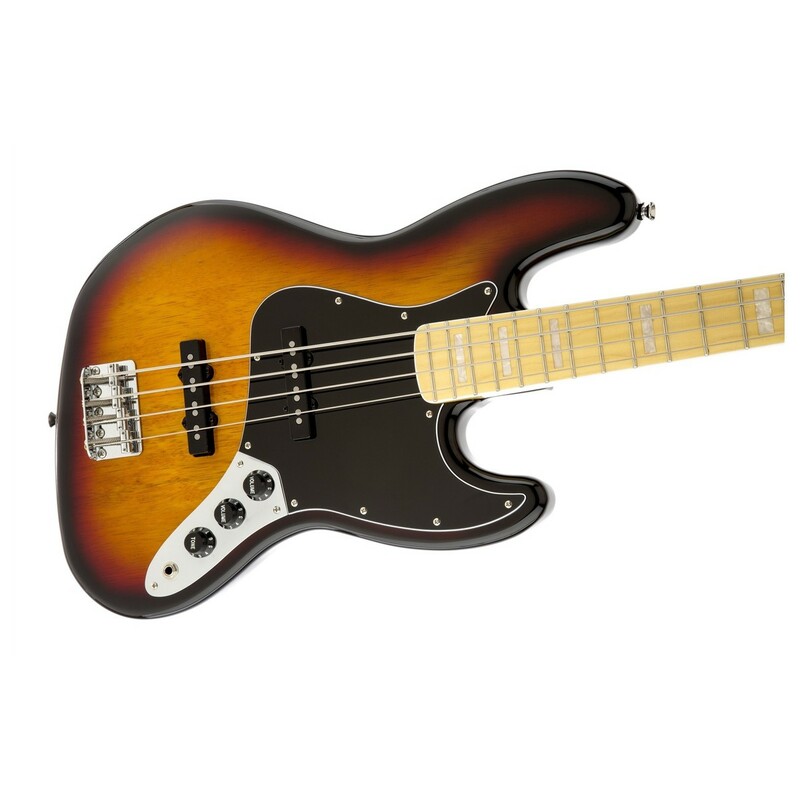 Set in the bridge and neck positions are a set of Fender-designed single-coil Jazz Bass pickups, delivering an authentic Fender tone that’s full of growl and bite. Embodying the very essence of Fender, these pickups are perfect for rock, blues, jazz, and a range of other styles. independent volume and master tone controls lets players dial in the perfect sound for any situation, with the option to blend both pickups together or used solo to match a variety of musical genres. 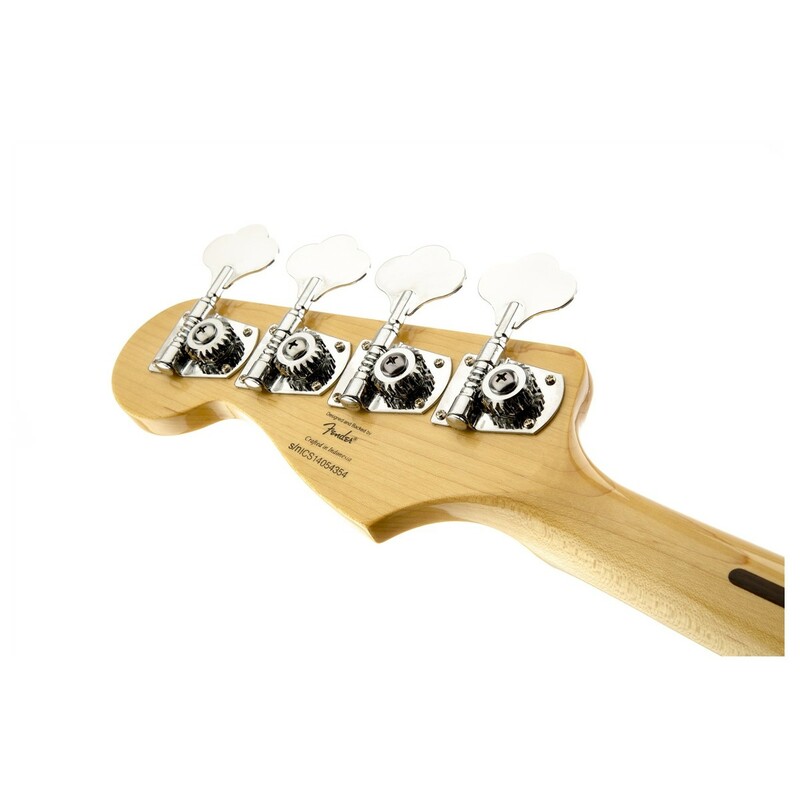 Featuring a carefully fitted synthetic bone nut, the Squier Jazz delivers an increased resonance and bright tonality. When compared to traditional plastic and Tusq materials used to construct guitar nuts, synthetic bone improves the vibration transfer between the string and tuning machines without dampening the tone.